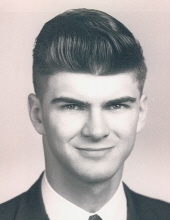 Andrew Paton, 78, of Camillus, passed away Sunday, February 10, 2019 at home, surrounded by his loving family. Born in Schenectady, he moved to Camillus in 1970. Andrew was an Army veteran and worked at Loretto, Fay’s Inc. and Eastern Microwave. Surviving are his wife of 50 years, the former Margaret Niles; daughters, Cheryl (Shane) Kurowski of Erie, CO and Christine Price of Liverpool; and grandchildren, Ava Kurowski and Alexis and Jessica Price. Relatives and friends may call Saturday, February 16 from 10 to 11:30 a.m. at Christ Community Church. Services will follow at 11:30 a.m. in the church. Andrew will be laid to rest in Maplewood Cemetery in the spring. In lieu of flowers, contributions may be made to Hospice of CNY, 990 Seventh North St., Liverpool, NY 13088 or to Christ Community Church, 3644 Warners Rd., Camillus, NY 13031. To send flowers or a remembrance gift to the family of Andrew Paton, please visit our Tribute Store. "Email Address" would like to share the life celebration of Andrew Paton. Click on the "link" to go to share a favorite memory or leave a condolence message for the family.